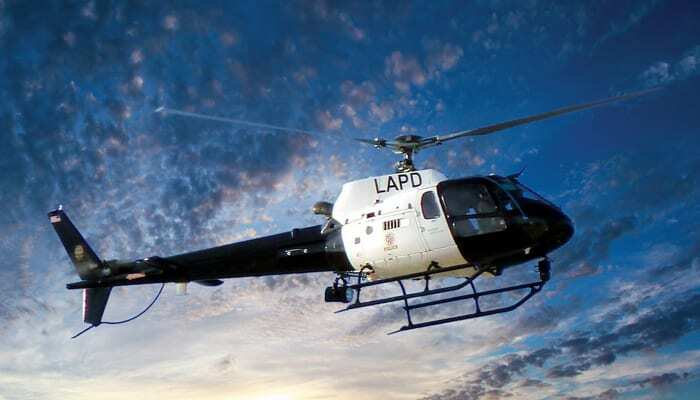 ONTARIO, California | February 23, 2018 — Diagnostic Solutions International, LLC (DSI) successfully installed the Honeywell VXP Health & Usage Monitoring System (HUMS) and Honeywell Sky Connect Tracker III aboard the Los Angeles Police Department’s AS350B2. This is the first AS350 type with VXP HUMS installed as well as the first to have both VXP and Sky Connect systems installed as a compliment to each other. Honeywell’s VXP solutions are sensor-based monitoring systems that continuously monitor aircraft vibration data at numerous points throughout the drive train, determine component health and pinpoint anomalies before they become catastrophic failures. HUMS solutions enable helicopter operators to anticipate mechanical failures, make anticipatory maintenance decisions and act when maintenance is necessary.